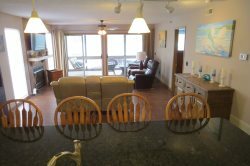 Here at Four Season Property Management, we will not only help you book a fantastic Lake Ozark vacation rental complete with everything you need for a great trip, but we can also assist with organizing golf packages, boat rentals and much more. We know the lake and have been doing this for over 30 years so you can rest assured you are getting a great deal on a quality rental and can book with confidence. With assistance from any of our knowledgeable staff, you are sure to enjoy your time at beautiful Lake of the Ozarks! All of our vacation properties are located on Lake of the Ozarks and come fully stocked with everything you may need to enjoy your time on the lake. We provide all linens including bed sheets, pillow slips, bath towels, hand towels, and washcloths. Kitchen towels, wash rags, dish detergent for sink and dishwasher, hand soap, body wash, shampoo, toilet paper, and trash bags. We do not supply towels to be used outside of the property. Please bring your own beach/boat towels. Our goal is to ensure you are as comfortable as possible during your stay. Due to this commitment, we are constantly adding and/or changing the services we provide. Please contact our office for more information on Additional Services and to see how we can help make your trip that much more special and enjoyable!